We’re delighted to have been featured in American Airlines’ First/Business Class magazine giving tips on where to visit in the Caribbean. Check it out on page 20. Click here to read. 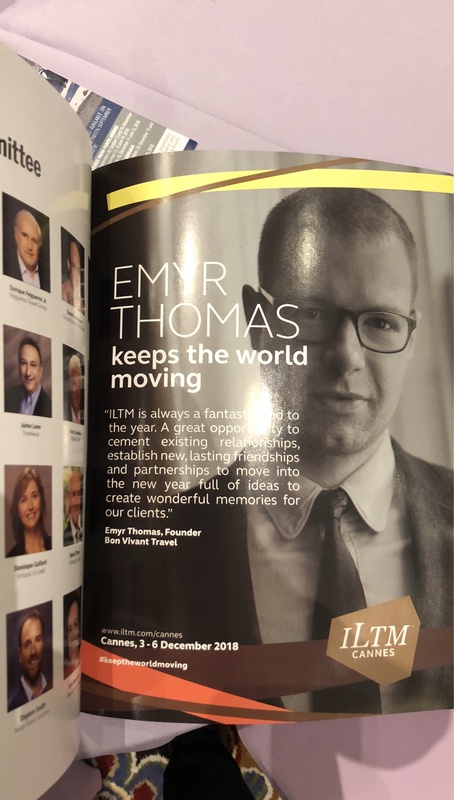 Emyr Thomas is featured in the Virtuoso Life travel magazine highlighting the importance of trade shows for the luxury travel industry. Click here to read. Emyr Thomas is featured in a piece on the launch of an LGBTQ+ specific travel show and the importance of the LGBTQ+ market. Click here to read. “If anyone understands luxury lifestyle, it’s Emyr Thomas. Founder of luxury travel and concierge service Bon Vivant, luxury runs through Emyr’s DNA.” Click here to read. An article on concierge services and ‘London’s most well–connected men’ featuring our founder, Emyr Thomas. Click here to read. The Bon Vivant Journal has been shortlisted for the “TUMI x WIRED Innovation in Travel Awards” in the category of Best UK-based travel influencer. Click here for further details! The Bon Vivant Journal has been selected as one of the top 100 luxury travel blogs in the world! We’re thrilled to currently be at number 39! Click here for further details. The Daily Mail quotes Bon Vivant’s founder, Emyr Thomas, on the lives of billionaires and their spending habits. The article can be viewed here. Elite Traveler, the private jet lifestyle magazine, asked Bon Vivant founder Emyr Thomas to write an article for their Influencer section on his favourite Martini in London – click here to read the article. The travel section of the Daily Mail online features Bon Vivant Travel as one of the most exclusive travel companies – click here to read the article. Square Mile magazine, the City of London’s longest serving luxury lifestyle publications, features Bon Vivant’s founder Emyr Thomas in the ‘Escape Artist’ section about his ‘escape’ from The City to set up Bon Vivant. Click here for the article. BA First Class Magazine Says We’re the People To Know! Emyr Thomas, Bon Vivant’s founder, has been mentioned in the British Airways First Life Magazine for its first class passengers under the title ‘The People To Know’. “If Emyr Thomas at Bon Vivant can’t sort out your capital wishlist, it’s possible no one can.” Click here for details.